There seems to be a real buzz about Chapel Street at the moment with an array of independent businesses making a beeline for the area. 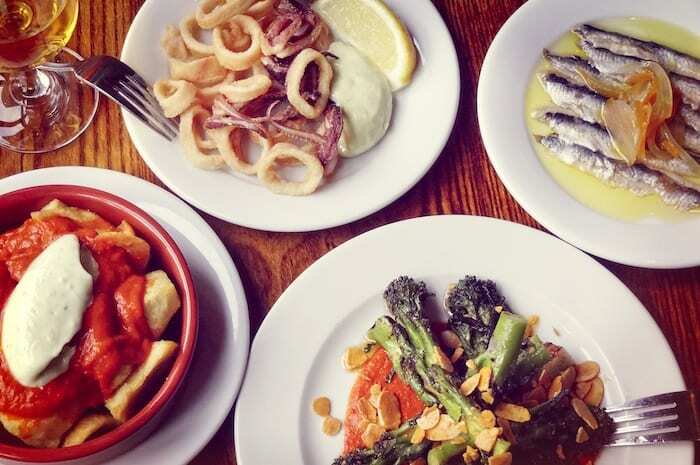 The latest are brothers Ben and Joe Wright, who are bringing a little Spanish influence to the area with the opening of their tapas bar Porta next week. 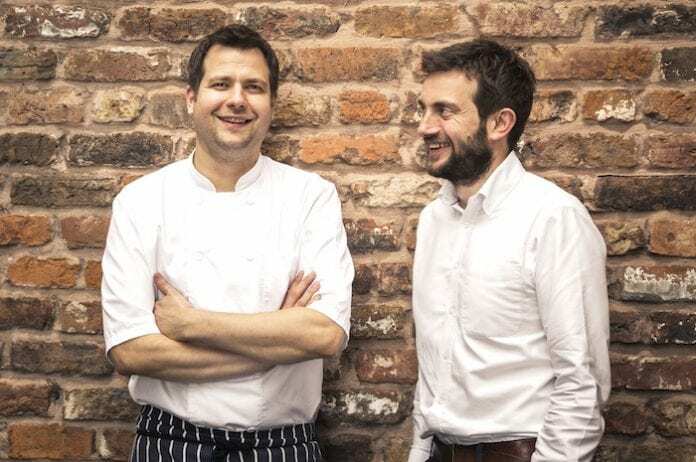 It’s the third site for the duo who opened the original Porta in Chester in 2012, next to their bistro Joseph Benjamin, followed by a second in Altrincham two years ago. “Obviously we’re a small company, it’s just me and my brother and we don’t have deep pockets like the big guys,” says Ben, who looks after front of house, business operations and the drinks menu while chef Joe takes care of the food. 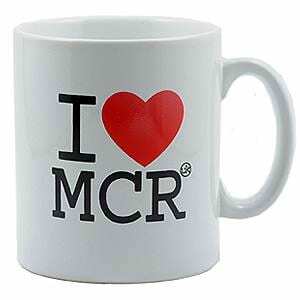 The new restaurant is located in the former Midland Bank, which is owned by Salford City Council. Although they’ve obviously had to comply with building regulations, the brothers have been given a “fairly free reign” in the renovation of the site but have retained many original features, including the parquet floor. “Part of what we look for is a building with character because it’s so hard to bring character to a building if it doesn’t have it when you move in. And with this, it’s working with the beauty of the building that’s inherent to it,” says Ben. 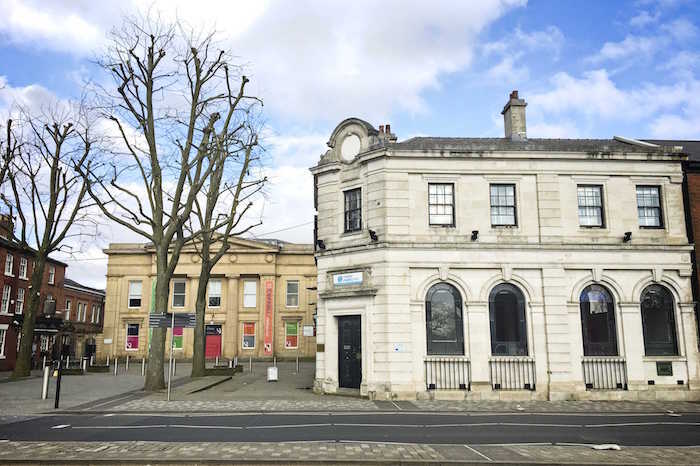 The emphasis is very much on relaxing, chatting, and informality – somewhere you can pop in for a drink, nibble or dinner without the need to make a reservation. The menu includes plenty of classics, such as jamon, croquetas and patatas bravas, olives, tomato bread and Spanish tortilla. “We’re respectful of tradition and would rather do a good version of a basic thing than try and reinvent something,” says Ben. The drinks menu is curated by Ben and is set to include a “nice, short menu of about eight Spanish wines that will change every few months”. The brothers’ love for Spain springs from travelling around the country since they were children. Although it’s 12 years since they opened their first restaurant, they never rest on their laurels. “One of the things I lie awake worrying about is that Manchester’s food and drink scene is very hard to be seen on,” admits Ben. While the idea of working alongside a sibling is enough to make some people shudder, Ben believes the shared history makes for a useful shorthand. “You’re never falling out for the first time, so you can have a cross word in the heat of the moment on a Saturday night during dinner service and then it’s forgotten half an hour later and you can move on,” he says. Looking ahead, they’re keen to concentrate on the venues they have rather than setting their sights on the next location. “Any growth has to be very organic. There’s no one else financially involved, no shareholders, it’s just me and my brother and we’ve expanded slowly as we can and that will definitely continue to be the case,” says Ben. Porta opens on Chapel Street, on the corner of Bexley Square, on Wednesday, December 5th.